We have a great food and beverages department. We offer 4 menus for you to choose from - Platinum, Gold, Silver, and Bronze. Whatever the menu you select, we'll make sure it's the most delicious food you ever tasted. 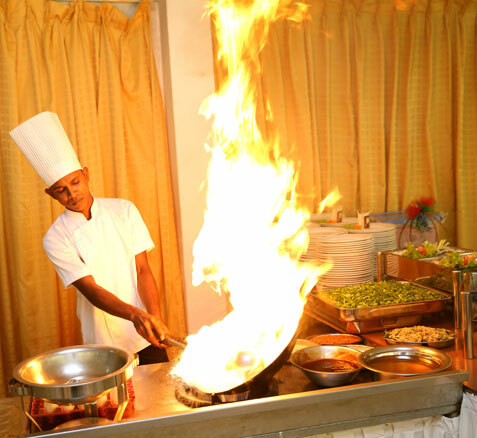 We serve the food in buffet style, in a manner that please not only taste, but also the eye. Your guests can help themselves for lunch there. We serve delicious desserts after the lunch. This is followed by the afternoon drink.